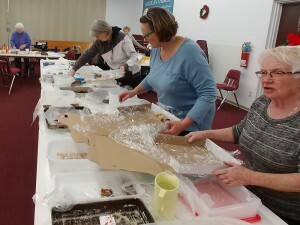 Swan River Royal Purple Elks #185 are preparing to again help you stock up on homemade sweet treats in time for Christmas. Our Christmas Baking project has been one of our major fundraisers for about 15 years and has provided funds to initiate and contribute to community projects such as the Bocce Ball Court, bursaries for grade 12 graduates, Music Festival competitors, local schools etc. and our national charity the Elks Fund for Children. 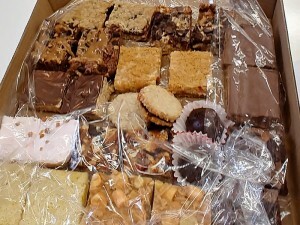 Packaged boxes of 2 dozen goodies are priced at $24.00 ea. The proceeds of this year’s baking will be used towards enhancement of Swan River Royal Purple Elks’ Bocce Ball Courts located in Legion Park beside the parking area on 7th Ave. N.
Orders close December 1, 2018 with pick up at the Elks Hall Saturday December 8 from 10:00 am to Noon.